Guangzhou OUAYNG Security and Building Material Technology Co., Ltd. is a metal doors manufacture in Guangzhou, China. Established in 2008, we major in producing metal doors, automatic doors and the door related products. 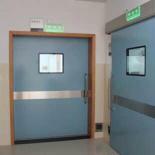 Our door and auto door system is widely used in factory, hospital, warehouse and shopping mall. We started to export doors & auto door system from the year 2009. Europe, South America, Mid-east, Southeast Asia are our main markets. 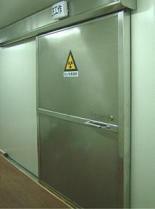 1, Airtight door and X-ray proof door for hospital, door for factory & warehouse, door for clean room. 2, Sectional door for garage, roller shutter door & window. 3, Fire rated steel door, fire rated roller shutter. 4, Automatic sliding door opener, swing door operator. 5, Electric gate opener (sliding & swing). 6, Entrance guard system, card reader, photocell, finger print reader, video intercom, etc. 7, Glass door and glass window, hinged glass door, sliding glass door,auto glass door, etc. We offer excellent sale and after-sale service. We have good shipping agent who can ship our products to most places of the county. If you are interest in our products, please send email to luan@gzafjc.com or add our wechat/whatsapp: 008613760677858.